Could there be a link between breast cancer and artificial sweeteners? For years, manufacturers and the FDA reassured the public that they’re completely safe. Are they? Today, let’s look at the relationship between breast cancer and artificial sweeteners, including how they work to cause cancer. There are different types of artificial sweeteners out there, like saccharin, sucralose, and acesulfame potassium. For the sake of discussion, I’m going to focus on the most popular type, aspartame. Aspartame is a “first generation” artificial sweetener. It’s 200 times sweeter than regular sugar, so it’s a favorite ingredient in many food and beverage products. You may know it as NutraSweet, Spoonful, and Equal. At first, the FDA didn’t approve of this as a sugar substitute. Through dirty political and regulatory tactics, G.D. Searle & Company finally got the go signal to sell it as an artificial sweetener in dry goods on 1981. Since artificial sweeteners are FDA-approved, they must be 100% safe, right? For decades, health advocates have been asking the FDA to re-evaluate their decision about artificial sweeteners because of a possible breast cancer link. Well, health groups aren’t really happy and want the FDA to re-evaluate their decision because artificial sweeteners may play a role in the incidence of breast cancer. For instance, there are higher incidence of breast and prostate cancers in North America and Europe compared to Asia and Africa, which have lower consumption of NutraSweet. Inside the body, aspartame is broken down into methanol (10 percent), aspartic acid (40 percent), and phenylalanine (50 percent).Experts say these compounds are highly safe because fresh fruits and veggies have them. Once taken, the body converts aspartame into methanol within minutes. The next step is converting methanol into formaldehyde, a compound linked to cancer in humans. In his study, Dr. Monte reaffirmed this fact and added that it’s not only the liver that metabolizes this compound. Aside from the liver, one of the few richest sources of Alcohol Dehydrogenase Enzyme (ADH) in the body is human breasts, specifically the mammary endothelial cells. Most cases of human breast cancers normally start in the mammary epithelial cells. 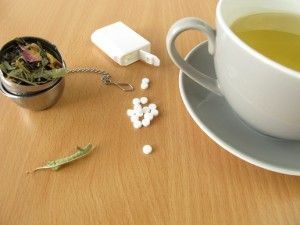 We can’t simply ignore population studies and clinical trials that suggest that artificial sweeteners, like aspartame, may contain certain ingredients that could put a person at risk for different types of illnesses, like diabetes and cancer. The result of one animal study even suggests that exposure to aspartame in the womb could cause blood and breast cancers. So, what are your thoughts on the issue about breast cancer linked to using artificial sweeteners?